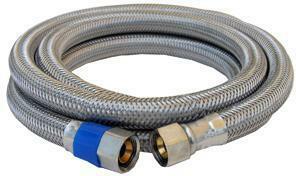 COMPRESSION SS DISHWASHER CONNECTOR Braided stainless steel dishwasher hook-up Use to connect dishwasher to water supply Compression x compression fittings Meets requirements for no lead applications Packed on hang tag card 10-0960 3/8X24 SS DISHWASHER SIZE:3/8"Cx 3/8"C LENGTH:24"
COMPRESSION SS DISHWASHER CONNECTOR Braided stainless steel dishwasher hook-up Use to connect dishwasher to water supply Compression x compression fittings Meets requirements for no lead applications Packed on hang tag card 10-0962 3/8X36 SS DISHWASHER SIZE:3/8"Cx 3/8"C LENGTH:36"
COMPRESSION SS DISHWASHER CONNECTOR Braided stainless steel dishwasher hook-up Use to connect dishwasher to water supply Compression x compression fittings Meets requirements for no lead applications Packed on hang tag card 10-0964 3/8X48 SS DISHWASHER SIZE:3/8"Cx 3/8"C LENGTH:48"
COMPRESSION SS DISHWASHER CONNECTOR Braided stainless steel dishwasher hook-up Use to connect dishwasher to water supply 3/8" compression x 3/8" compression with - 3/8" male compression x 3/8" male iron - pipe elbow Meets requirements for no lead applications Hang tag card 10-0973 3/8X72 SS DISHWASHER SIZE:3/8"Cx 3/8"C LENGTH:72"
NO-BURST DISHWASHER CONNECTOR Highest bursting strength available Braided stainless-steel Will not kink or crease Easy to install Captive cone washer will not fall out Furnished with an elbow 1W48 48 IN. 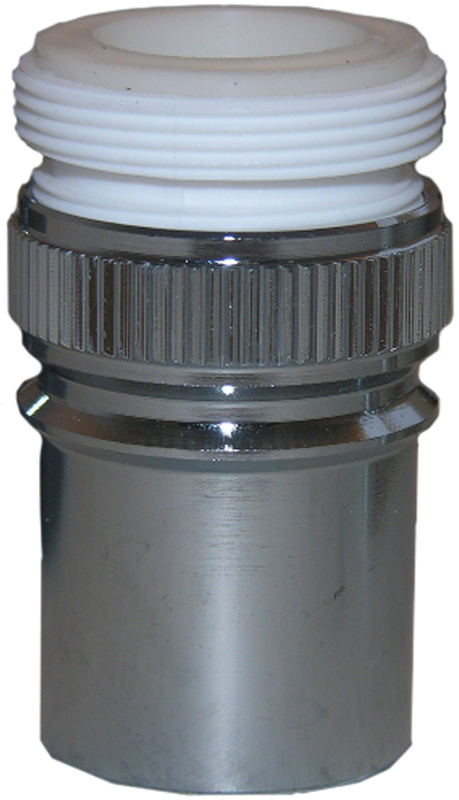 DISHWASHER CONNECTOR SIZE:3/8"Cx 1/2"FIP LENGTH:48"
NO-BURST DISHWASHER CONNECTOR Highest bursting strength available Braided stainless-steel Will not kink or crease Easy to install Captive cone washer will not fall out Furnished with an elbow 1W72 72 IN. 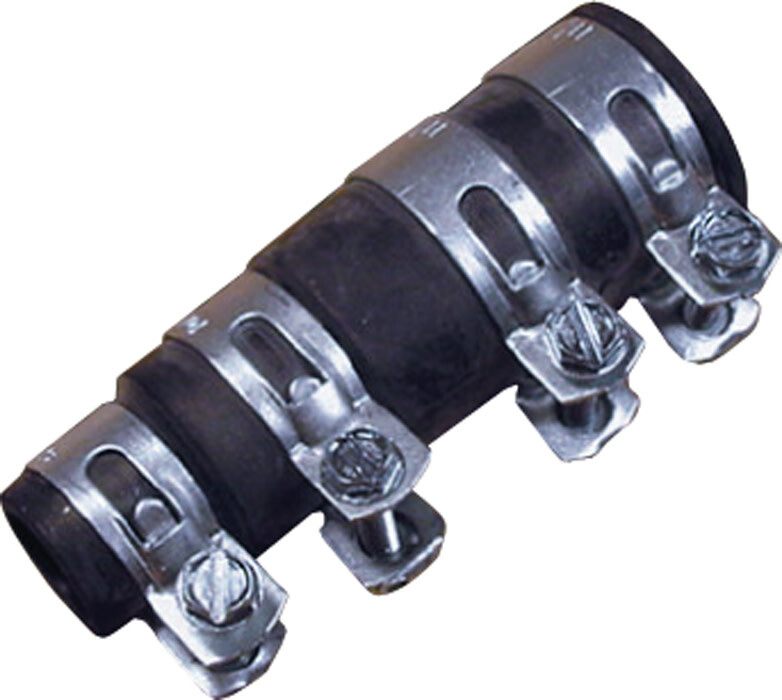 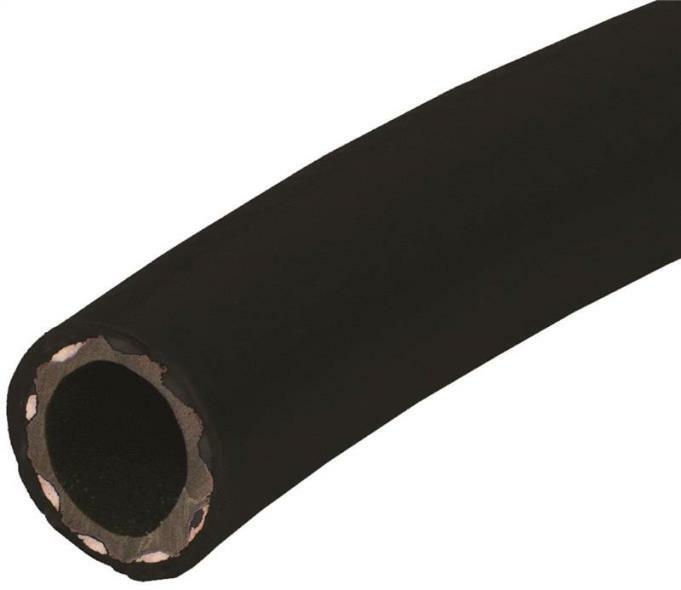 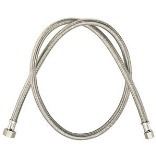 DISHWASHER CONNECTOR SIZE:3/8"Cx 1/2"FIP LENGTH:72"
NO-BURST DISHWASHER CONNECTOR Highest bursting strength available Braided stainless-steel Will not kink or crease Easy to install Captive cone washer will not fall out Furnished with an elbow 6W48 48 IN. 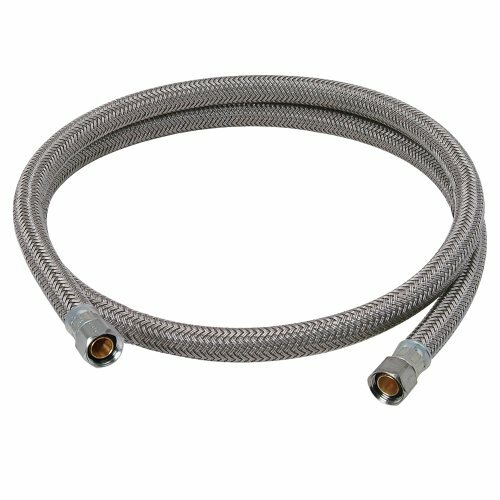 DISHWASHER CONNECTOR SIZE:3/8"Cx 3/8"C LENGTH:48"
NO-BURST DISHWASHER CONNECTOR Highest bursting strength available Braided stainless-steel Will not kink or crease Easy to install Captive cone washer will not fall out Furnished with an elbow 6W60 60 IN. 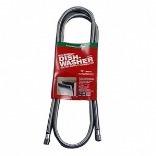 DISHWASHER CONNECTOR SIZE:3/8"Cx 3/8"C LENGTH:60"
NO-BURST DISHWASHER CONNECTOR Highest bursting strength available Braided stainless-steel Will not kink or crease Easy to install Captive cone washer will not fall out Furnished with an elbow 6W72 72 IN. 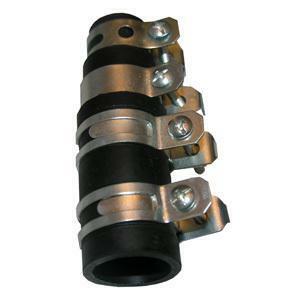 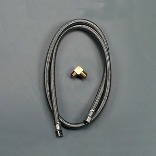 DISHWASHER CONNECTOR SIZE:3/8"Cx 3/8"C LENGTH:72"
DISHWASHER CONNECTORS Made of flexible, braided stainless steel Brass inserts 3/8" compression x 3/8" compression - With 3/8" ips x 3/8" comp x 90 deg. 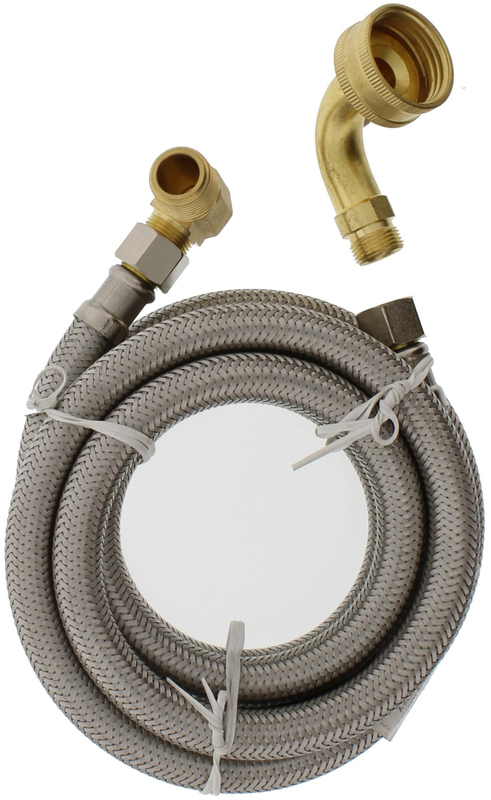 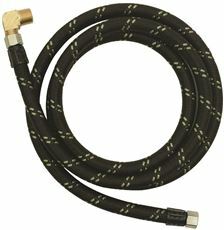 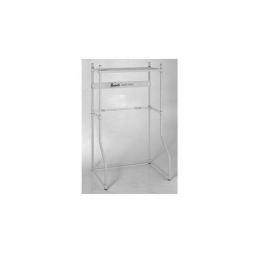 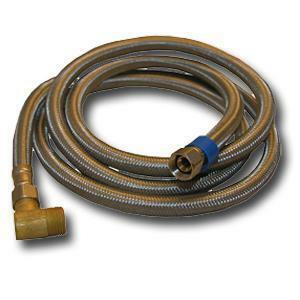 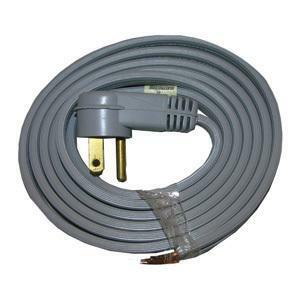 elbow PVC braided inner hose Coiled and tied - Hanger/flyaway tag 7750A 5 FT. SS DISHWASHER CONNECT SIZE:5 Ft.
BRASS DISHWASHER TAILPIECE, CHROME, 22 GAUGE, 1-1/2 X 8" BRASS DISHWASHER TAILPIECE, CHROME, 22 GAUGE, 1-1/2 X 8"
90� brass elbow; 3/8" x 1/2"; Bulk; 48"